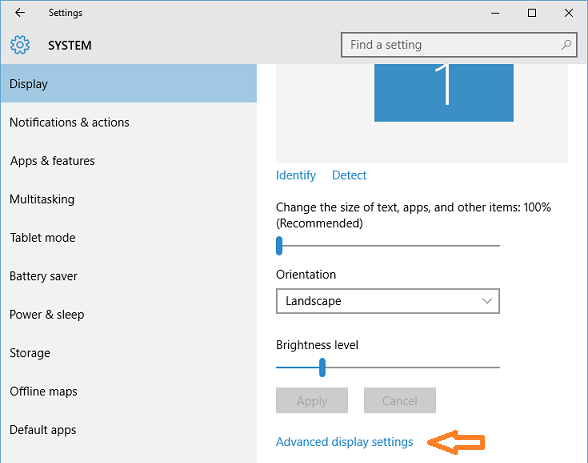 Right click on screen and select "Display settings" in context menu. 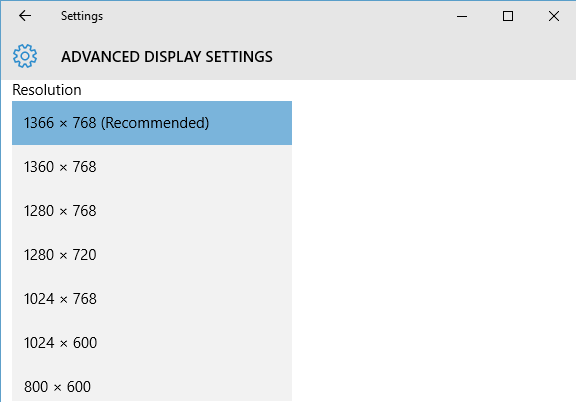 In Display settings window click on "Advanced display settings" link. 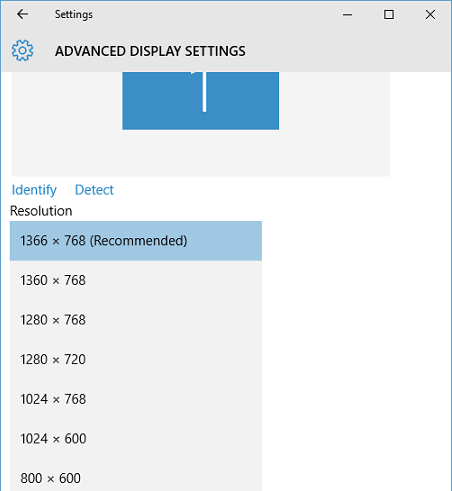 In Advanced display settings window click on drop-down list below the "Resolution" and select the resolution you want to set. Click on Apply button. This will change your screen resolution for 15 seconds. 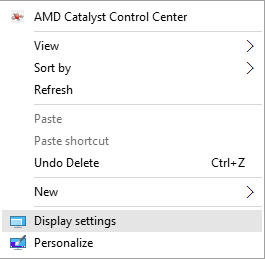 Click on "Keep changes" button to save new screen resolution, or click on "Revert" button to go back to the previous screen resolution.